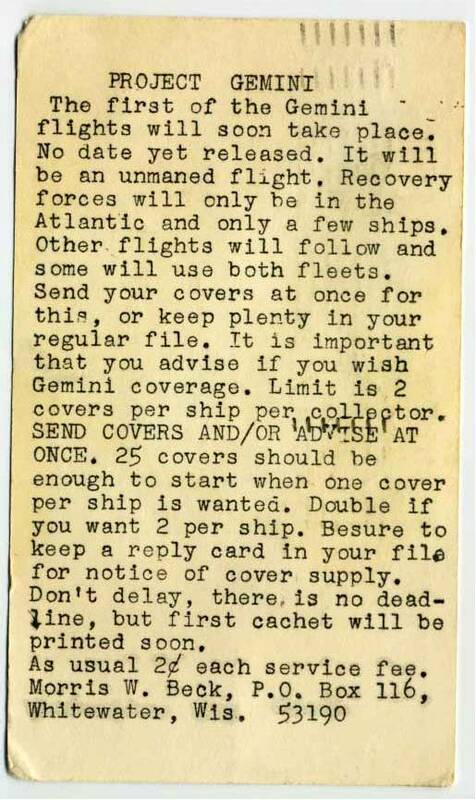 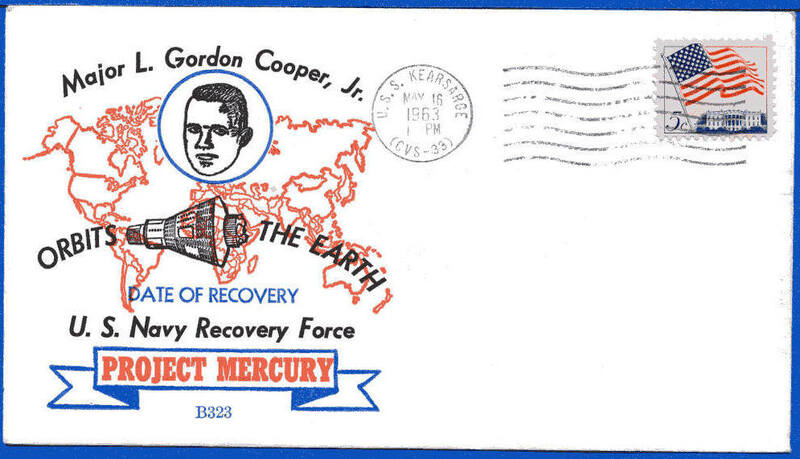 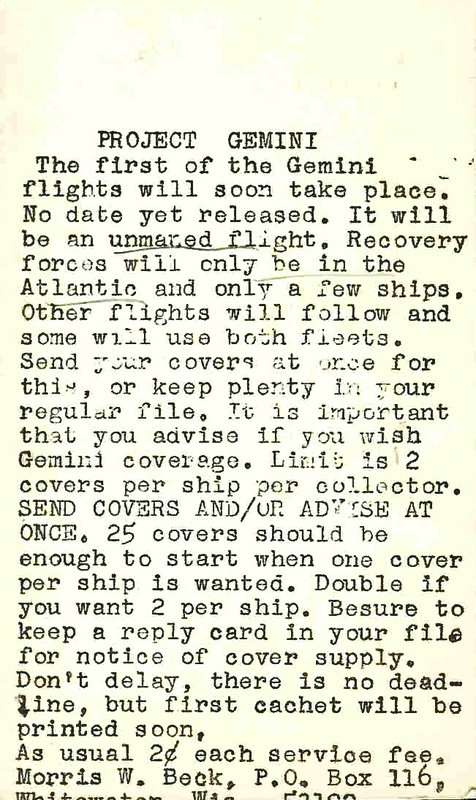 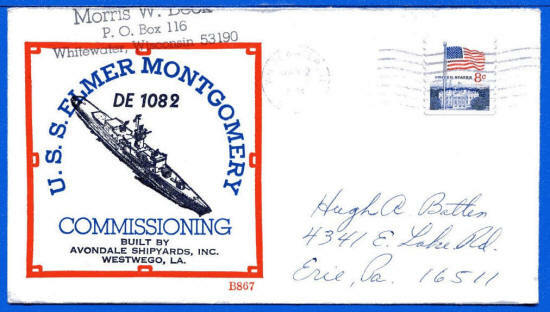 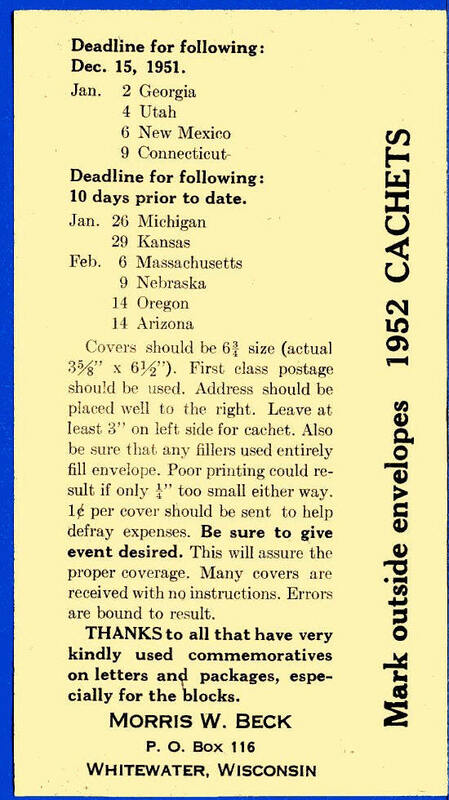 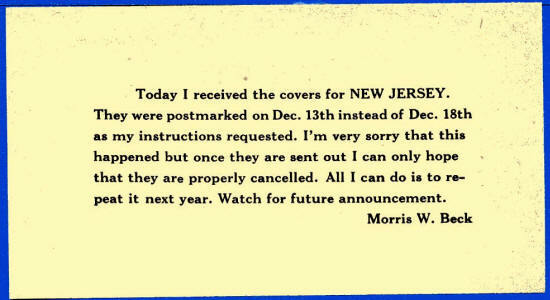 Above: Postcard was sent to collectors announcing cover service for Project Gemini. 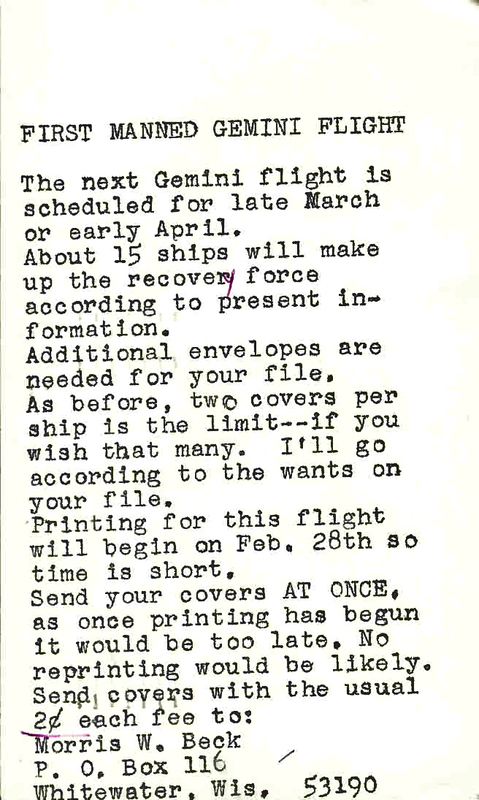 Date is unknown but it is probably early 1963 in preparation for the Cooper flight in May 1963. 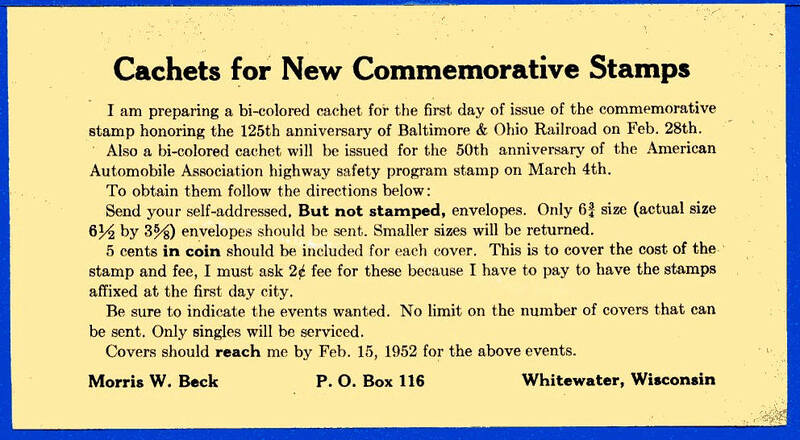 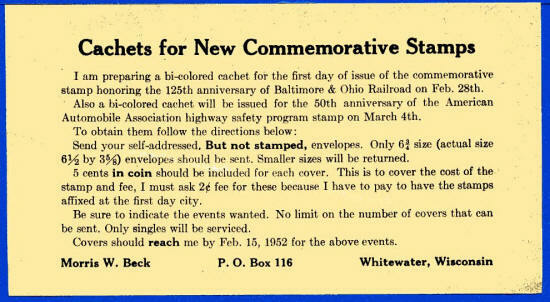 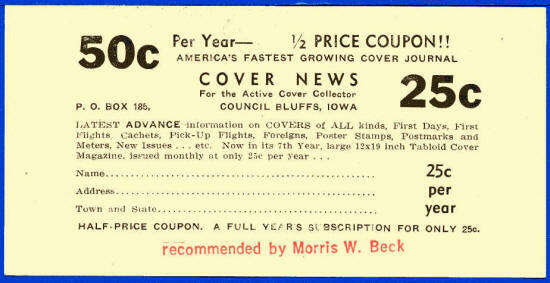 See Beck covers starting with B317. 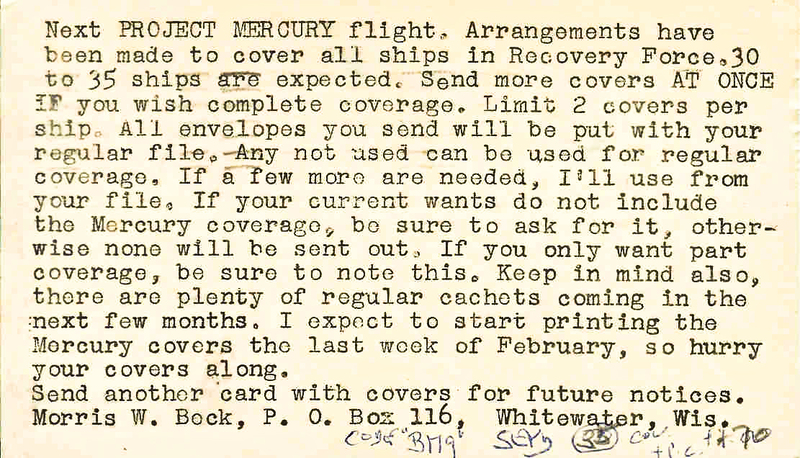 A little over 300 covers were prepared for each ship for the Cooper flight. 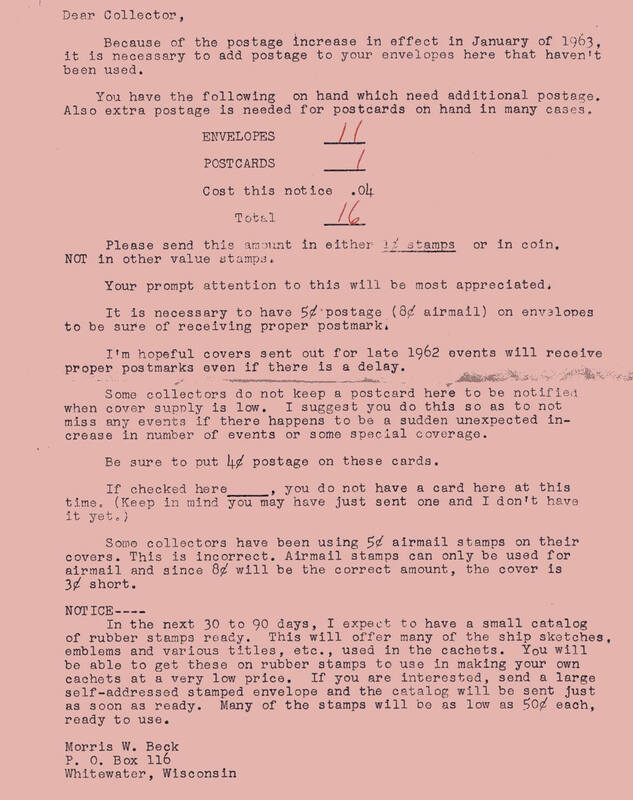 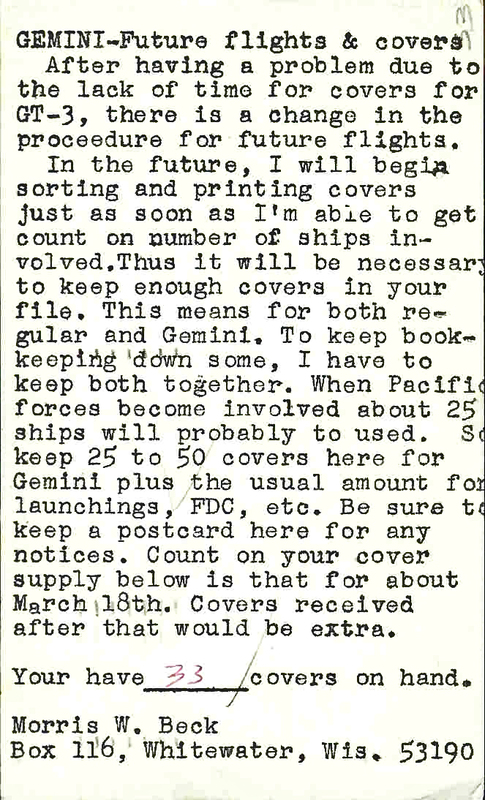 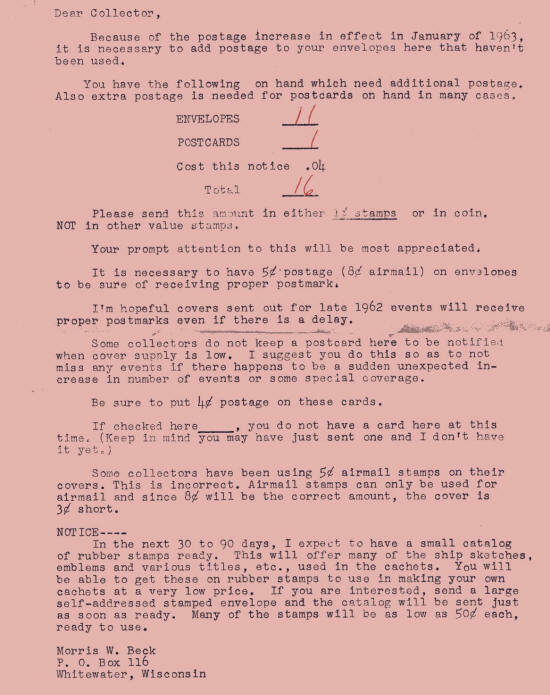 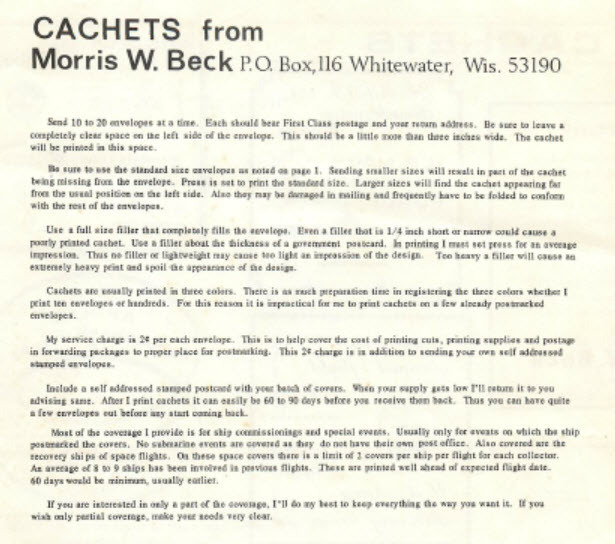 (See Here) Beck's printing log refers to a "second printing/shipment" which is probably explained because since the Cooper flight was the first big space event Beck printed for, some collectors were tardy in sending their blank covers to Beck for servicing. 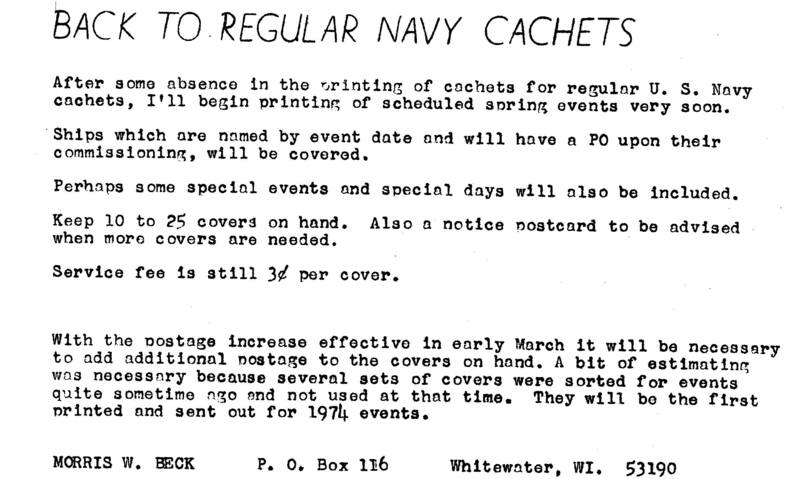 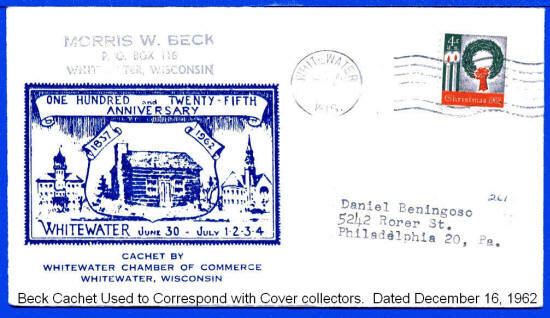 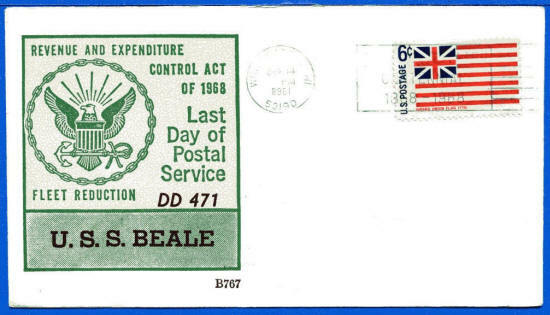 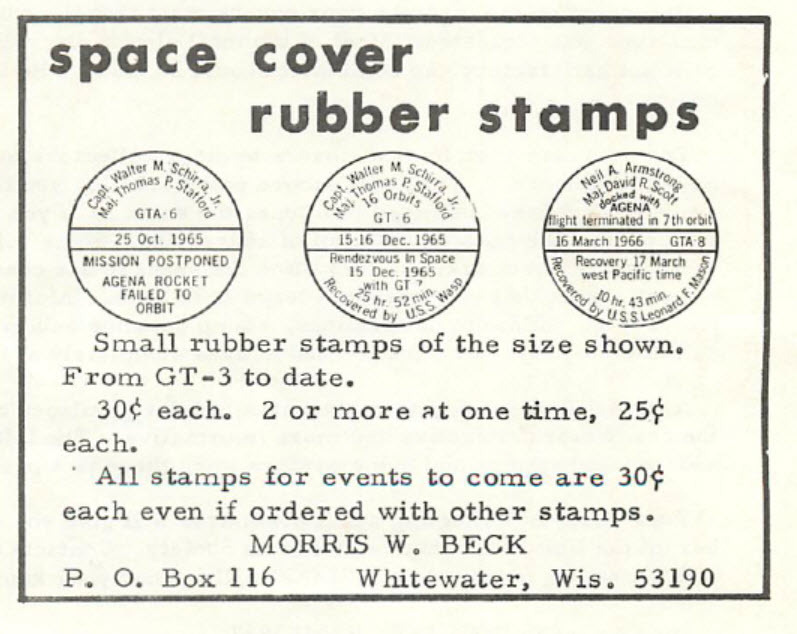 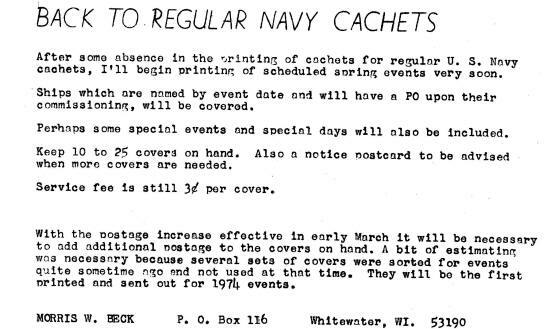 It is interesting to reflect that Beck only charged 2c per cover for printing and sending to the Navy for postmarking. The USS Kearsarge cover for this event has sold for as much as $125 or more. Added to the site 02/2007. 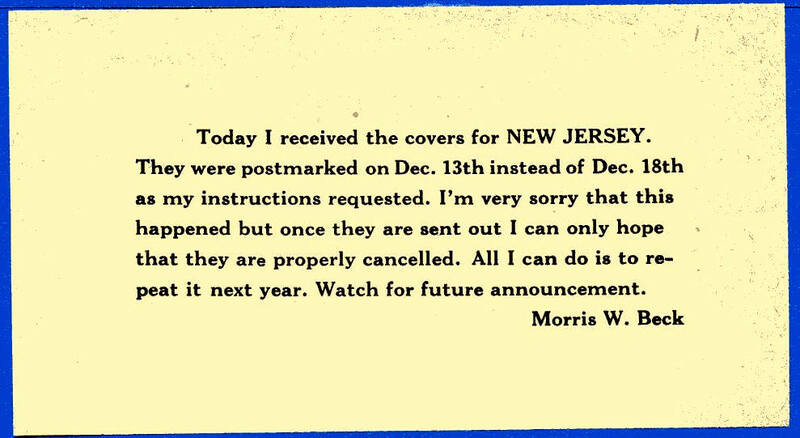 Scan submitted by SB Milstein.